On March 15, students across the world organized for our climate in an unprecedented act of frustration with climate inaction and the corrupting influence of fossil fuel corporations on our government. 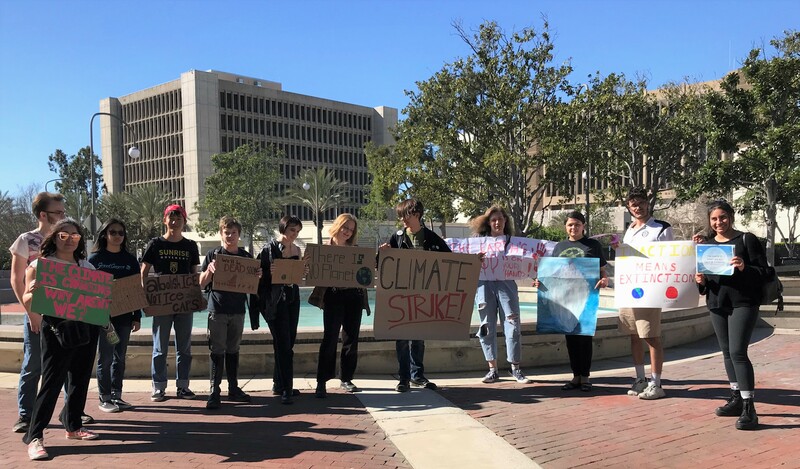 Orange County had its own climate strike in Santa Ana, which I helped organize with fellow student Chelsea Schack. However, it was difficult to create a sense of what climate change means for Orange County when eco-apartheid, the system of environmental segregation and the inequality of detrimental environmental effects has divided the county in two when it comes to its understanding and application of environmental justice. Orange County is a fractured region witnessing growing rates of income inequality and a deepening animosity between the upper-class, suburban, and predominantly white North and South OC and the lower-class, heavily urbanized, and predominantly minority Central OC. Most white residents of Orange County live in tracts that are over 60 percent white, and Orange County has long-witnessed a pattern of white self-segregation along with discriminatory tactics towards minorities. Seventy years after Mendez v. Westminster, which challenged the forced segregation of Mexicans in the Westminster School District, thousands of Orange County students attend schools that are more than 95 percent Latino, according to the American Immigration Council and SCPR. Orange County, which includes such cities like Santa Ana, Garden Grove and Anaheim, is one of spatial inequality not only in resources and services, but also of environmental access and detriment, according to the OC Register. The most tangible effects of climate change and environmental degradation can be seen through coastal sea level rise and wildfires, which have and will burn and flood through million dollar homes sitting in North and South OC. This understanding of Orange County’s environmental injustices excludes low-income communities and communities of color, which are at the front line of the effects of our climate catastrophe. Climate change itself is pushing Central American immigrants to the United States, who find themselves facing additional environmental injustices in Orange County, where situations like increasing power outages, higher costs for electricity and water, air pollution, water contamination, and medical conditions related to climate change would disproportionately affect the most vulnerable communities, according to the Texas Observer. Already, black and Latino Americans face the brunt of air pollution caused mostly by white Americans, a tale of environmental inequality that becomes even more visible in Orange County. Eco-apartheid doesn’t mean just the disproportionality of the effects of climate degradation, but also the unequal availability of nature and healthy foods to low-income, minority-majority communities. A third of Orange County households are considered food insecure, while every beach city is at least 20 percent more white than the county average. Most people of color in Orange County live in lower-income communities that have almost no access to green spaces, to the point where it the inequality is painfully visible. In District 70, which includes cities like Irvine, Newport Beach, and Lake Forest, there are over 100 acres of parks per 1,000 residents. In District 69, which is adjacent to District 70, there are under 5 acres of parks per 1,000 residents, and the rate of obesity is twice as higher. The inequality that pervades Orange County is a perfect example of eco-apartheid, and will only get worse as our already lofty levels of income inequality increase. On the day of our climate strike, we formed a circle where we individually stated why exactly we had come to fight for the planet. We realized that we had a general consensus when it came to why we had decided to attend: climate change is the physical manifestation of oppression, because marginalized communities have and will feel the brunt of the exploitative actions of the 1 percent. Climate change, essentially will be Orange County on a global scale, where the detrimental effects of environment will be felt by the working class, while the bourgeoisie will isolate itself from these effects while simultaneously making those effects worse. We must look at society’s failure to provide equality in the most simple of resources, and recognize that climate change is much, much bigger than melting ice caps or more frequent heat waves. It is the tangible effects of oppression, and with that we must rise to defeat it.